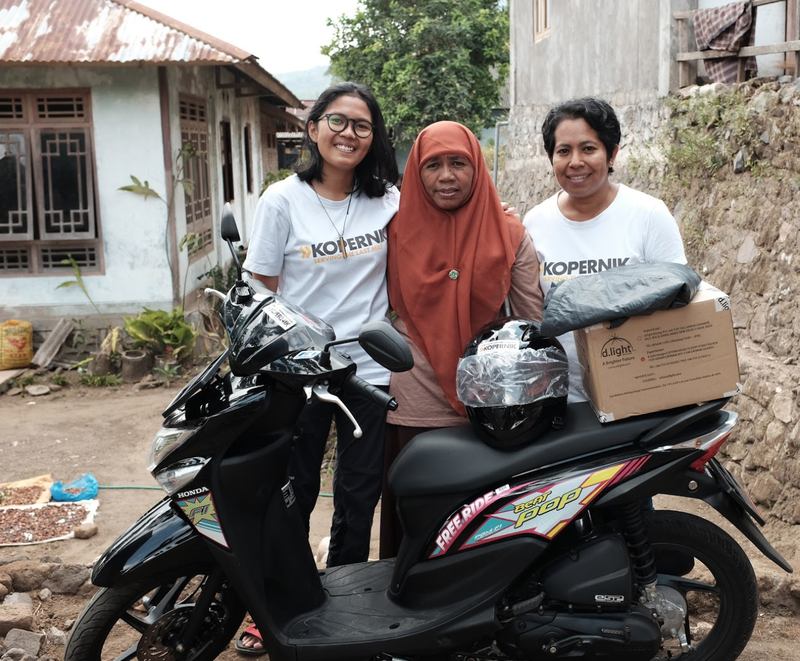 When Mama Mardiah brought home a brand new motorcycle out of the blue, her neighbors in the village of Horinara, Adonara, Flores were excited for her. She had won the motorcycle from a competition organized by Kopernik in August 2017. 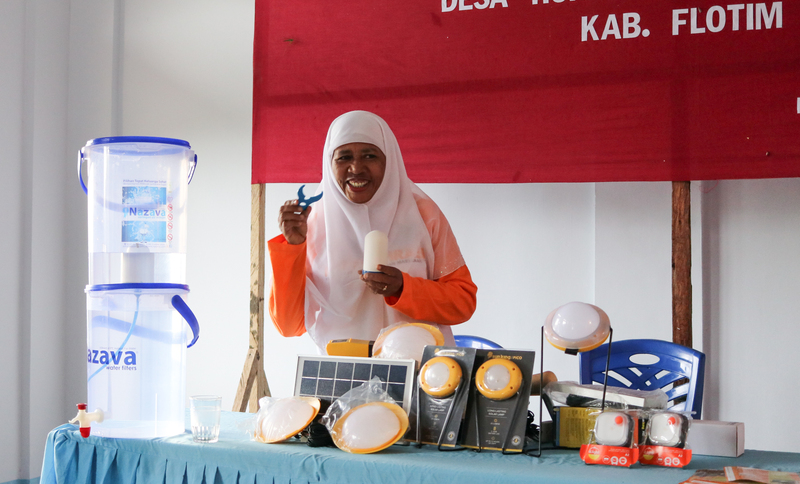 In celebration of Indonesia’s Independence Day, Kopernik hosted a competition among the Wonder Women across East Nusa Tenggara to sell as many technologies as possible. Asked what the driving force was behind her win, she replied that she actually did not put too much thought into winning the competition. Her intention was to always involve as many people as possible in her efforts to make clean energy technologies available in her area. It wasn’t just for her benefit, but she also sought to help her neighbors earn some side income. “Selling the technologies has provided additional income to my family, and it has also brought me closer to a life of serving others,” said Mama Mardiah, a soft-spoken women in her fifties with a wide-toothed smile. “Helping other people with opportunities to earn some income has been an aspiration of mine,” she said. Mama Mardiah won first prize in Kopernik’s Independence Day competition in August 2017 with the help of her support group. This active and pioneering effort by Mama Mardiah hardly went unnoticed. She is always keen to talk with neighbors, especially women, about the technologies and encouraged them to become involved with her efforts. There are currently at least 10 people within her sales network, including several fellow members of her local gathering of PEKKA, or the association of Women-Headed Households. In the words of Kahidir Kopong, head of Horinara village, who has witnessed Mama Mardiah’s efforts in the past few years: “Mama Mardiah has always been a forward thinker in the village...She naturally embraces the women in the area, embraces these simple, clean energy technologies.” Mama Mardiah was first introduced to the technologies in 2011 by PEKKA. Three years later, a Kopernik staff member visited her to talk about the Wonder Women program, which she immediately joined. As of December last year, she sold 381 technologies. To prepare for potential buyers, she often stocks up on water filters, solar lanterns and even one or two clean stoves in her kiosks, a small room in the corner of her house with a large open window so that she can easily chat with visitors. This room is also where she keeps her sewing machine and other goods that she sells, such as shoes and socks. When she has not been able to visit people in their homes, she often invites them to her small kiosk or holds tech fairs where she might reach a bigger crowd. Her recent fair in November was held in the Horinara village hall and was attended by more than 20 women from the area. The women who attended the tech fair were eager to ask questions and interacted with each other and Mama Mardiah. “People were excited when I talked to them about the technologies because I always showcase it to them directly,” she said. 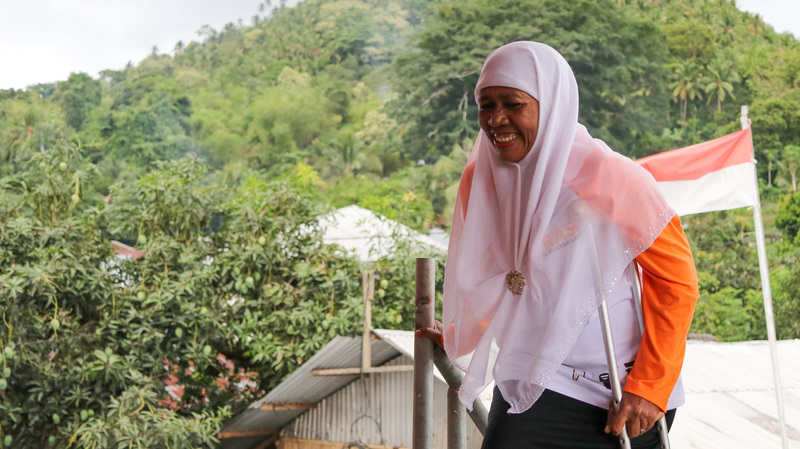 For Mama Mardiah, the benefits to sell clean and simple technologies to areas like Horinara has been about more than just gaining additional income in her daily life. Through the years, she said excitedly, she has gained new friends and knowledge that she can pass on to others as she continues her activities in the Wonder Women program and beyond. Mama Mardiah showing the filter for Nazava water filter to a group of women in Horinara village hall.